50 Years of Ford Mustang is here! Ladies, celebrate this milestone with this Black, White and Hot Pink Ford Mustang 50 Years embroidered hat. With the stark white embroidery to the hot pink stitching and high quality black cotton twill, this hat embodies the bold performance of Ford Mustang. 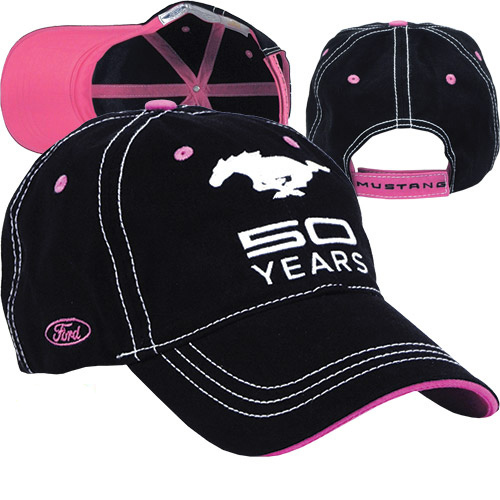 Ladies stand above the rest with this Ford Mustang 50 Years Black and Pink Hat! Adjustable velcro strap.